You’ve all seen him: the guy with the Leica M with the serious expression on his face, taking pictures of people drinking coffee downtown. The M9 with the Summilux Aspherical and the black gaffer tape…..suburban drone by day, on weekends a dogged photojournalist out on the prowl, looking for a scoop, or at least a “Decisive Moment” of some sort. 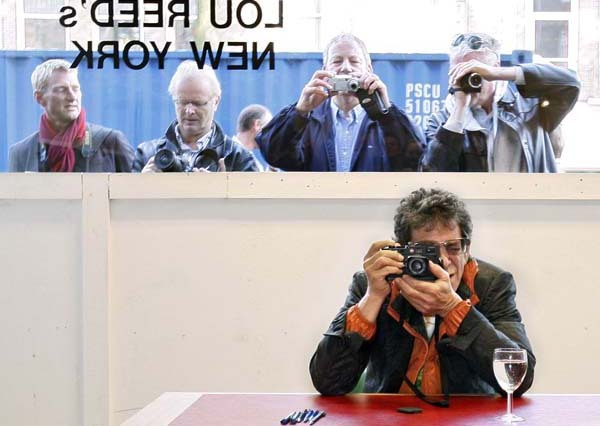 You’ll find the same guy on camera forums, buying and selling and trading and debating Leicas with a seriousness usually reserved for theological debates. Central to his mythos is The Leica Glow, an undefined yet undeniable characteristic of Leica “glass.” This photographer, almost never a working pro (except for self-proclaimed Leica “expert” Thorsteen Overgaard), often as not a dentist in the throes of mid-life mania, is suffering a communal photographic delusion referred to as The Leica Mystique. I suppose that some of the so-called Leica Mystique rests on Leica being the grand-daddy of 35mm photography (somebody had to be first), and a leader in the quality end of the market for several decades. 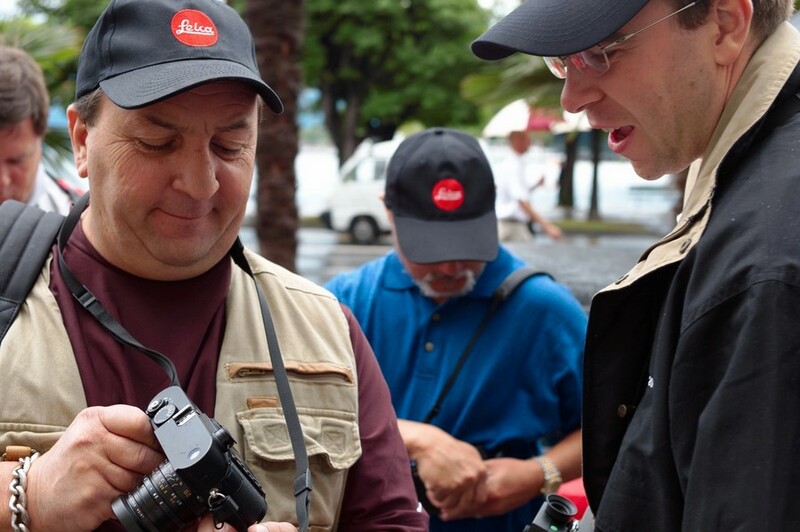 And, while Leicas aren’t possessed of magical qualities, they are, at least to the extent we’re talking about Leica Film cameras, very finely made cameras. After using a Nikon F to cut my photographic teeth, I purchased a new M5 in the late 70’s, specifically because I wanted my photographic experience to be “better.” Alas, there were no heavenly choirs, and my photographs didn’t suddenly become any more compelling by virtue of the Leica Glow. What it did offer me was a rather nuanced experience- a bit quirky and different to modern equipment, but an excellent tactile experience due to the fit, finish, and superb build quality. It was the Nikon F without the rough edges and the “clunk.” It pleased me that something so simple could feel so good in the hand and could be so smooth and unobtrusive. It didn’t hurt that I felt like I was using something rare and valuable that had its place in photographic history. Over the next 30 years I kept the M5 and added an M2, M4, M6 and M7, my experience each time matching that of the M5. So, it was in looking for that same experience that I bought a Nikon S3 Millennial a while back. 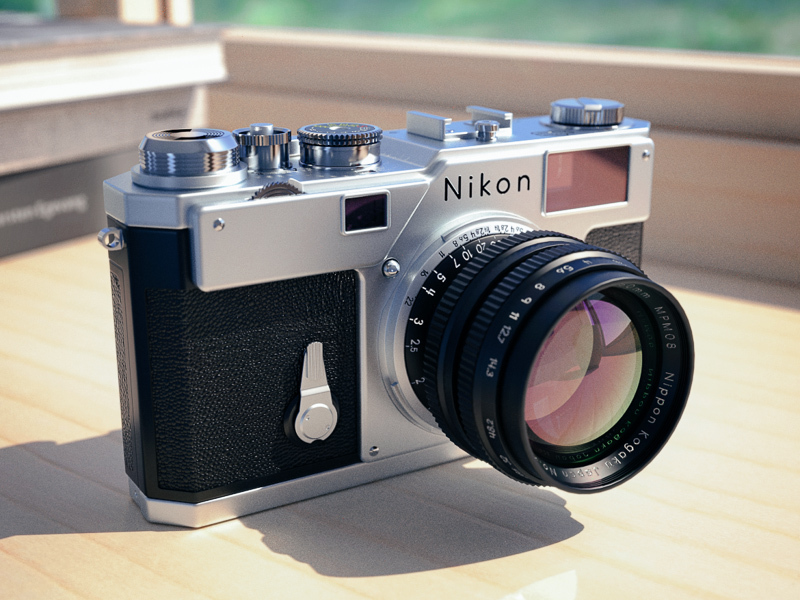 Its a beautiful camera, reputed to have cost Nikon much more to produce than the $6000 price tag. Nikon as a corporation is to be commended for taking the time and effort to resurrect such a beautiful piece of 35mm history. 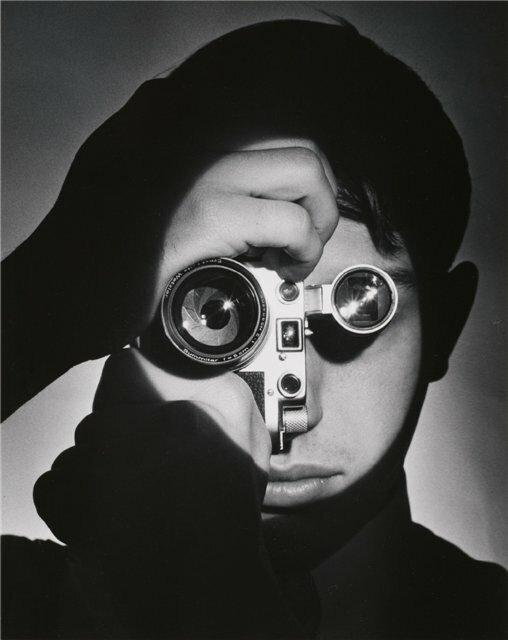 But its no Leica. The S3 finder is cluttered, the rangefinder patch is dull and fuzzy, the restriction to a 50mm field of view is inconvenient, lens changes are slow. It does, however, come with a killer lens, the Nikkor 50 1.4 which is every bit as good as the $5000 Summilux 50 (ironic, huh?). It’s hard not to compare the S3 Millennial to a garden variety Leica M2 of the same vintage (both being manufactured in the late 50s). The M2 sports a great finder with 35 FOV capability, and a rangefinder patch you don’t have to go searching for. Build quality every bit the match to the S3 Millennial, rebuilt just 14 years ago. Classic, supremely functional design, and much easier to use given the bright viewfinder/rangefinder, the rounded corners and perfectly placed shutter release. Aside from being easier to use, what I like about the M2 is it still feels relevant, new almost, in spite of the fact that its pushing 50 years old. Unlike the S3, the M2 doesn’t have that feel of using a piece of history. Of the dozen or so cameras that I own (film and digital), I use the M2 probably as much or more than any other. It lives with a Voigtlander 35 2.5 attached to it, which to me is the ultimate expression of a simplified 35mm film camera. 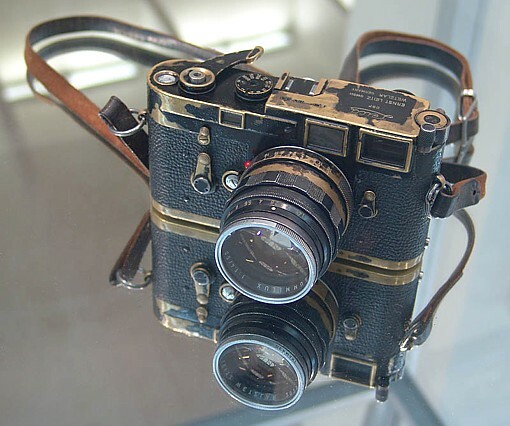 So, if there is any validity to The Leica Mystique, it’s a simple fact born of use, not some abstract concept derived from magical thinking and wish fulfillment . 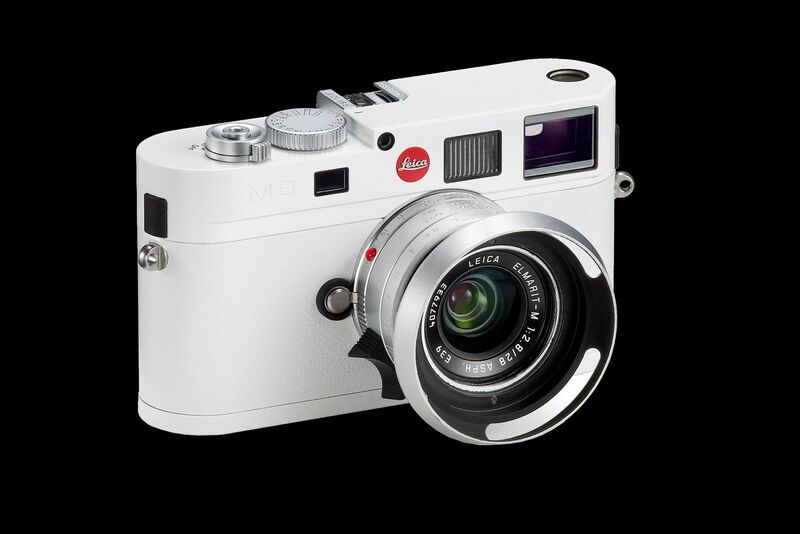 Between the S3 and the M2, it’s the Leica that puts a smile on my face – it’s the form factor and ease of use. The M2 is what I would call the more serious picture taking machine – very fast and intuitive, and more transparent as a tool. The S3 is a beautiful mechanical device, but in relation to the M2 it lacks the true ‘form follows function’ tradition embodied by the M2. 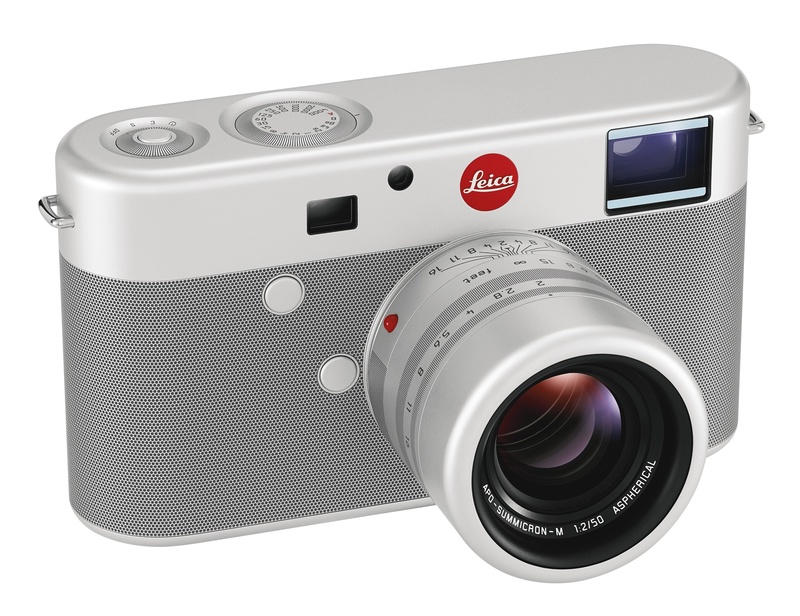 Most of the so-called Leica Mystique is a result of a certain admiration for the work of famous Leica users over the years and a not so subtle desire to justify the price tag. But some of it surely stems from its quality as an instrument – anyone who uses hand tools, of any sort, can appreciate tools that are very well made. There is also a certain pleasure in using tools that embody the simplest, most functional technology – and in knowing that there is no upgrade path. In the digital age, where manufacturers try to convince us to chase our tails in an elusive search for the newest and best, this is a wonderfully liberating feeling. In this sense, the Nikon (or the Canon or the Hexar or the Contax) is simply not in the same league as the M2. 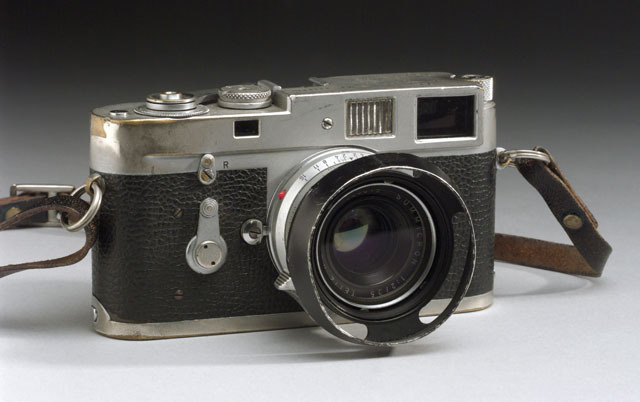 Of course, Leica’s photographic history certainly doesn’t hurt. Somebody had to be first, somebody had to be better than anyone else, and that just happened to be Leica. 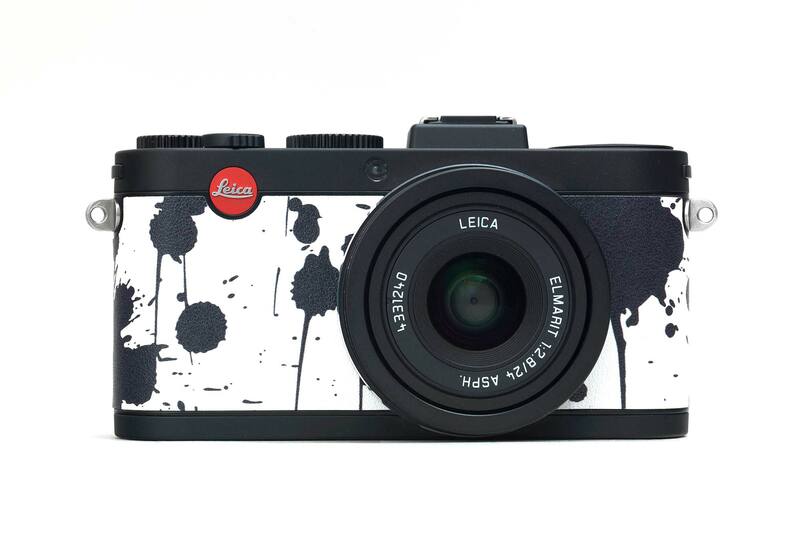 This entry was posted in Film photography, Leica, Leica Film camera and tagged Leica M2, Leica Mystique, Nikon S3 on November 10, 2014 by Leicaphila.